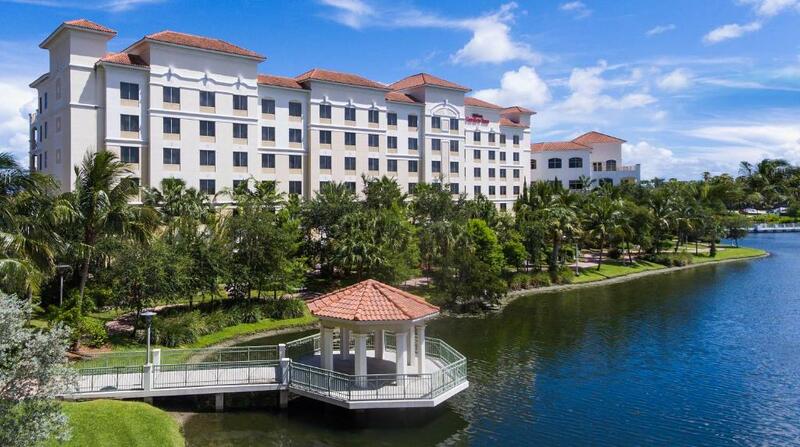 Lock in a great price for Hilton Garden Inn Palm Beach Gardens – rated 8.8 by recent guests! 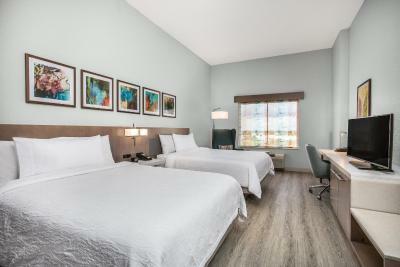 The rooms are super clean and beautifully appointed. Very modern in style, colorful and comfortable. It actually feels like a small apartment. The staff are professional very well trained and welcoming. The views from the rooms onto the lake property are a bonus. Breakfast is well prepared. The room was comfortable but I liked the way it was before the remodel. The hotel was very easy to find. The room was nice and clean and the bar was nice. The front desk employees were very helpful and nice. The room next to us had little kids and at 2 am they where very loud and running around and we had to call the front desk. When we checked out they gave us half off for the trouble it was very nice of them. I would stay there again. The view was also very pretty and close to stores, restaurants. The room is clean and well renovated. Location was good. 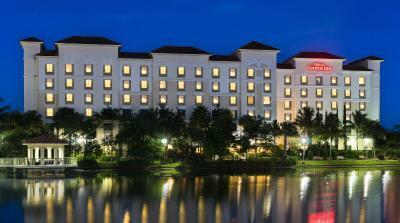 The staff was very friendly, the room was very nice and everything was very clean. 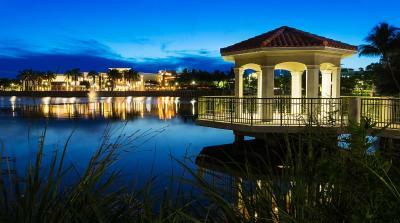 I love the lake and the mall surrounding the hotel we could just walk to restaurants. The property was beautiful, our room clean and comfortable, and the dining room. 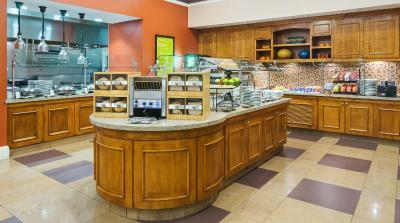 Our breakfast was hot and fresh with a chef cooking our omelettes fresh. I would recommend a stay to my friends. 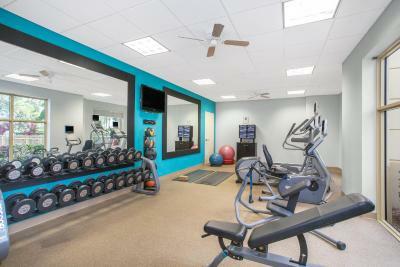 Clean, friendly staff, liked text messages, great location. 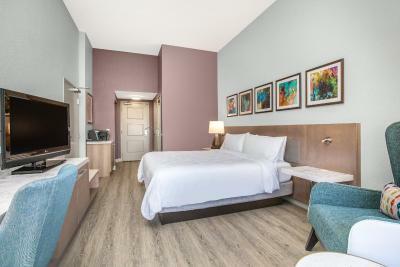 Hilton Garden Inn Palm Beach Gardens This rating is a reflection of how the property compares to the industry standard when it comes to price, facilities and services available. It's based on a self-evaluation by the property. Use this rating to help choose your stay! 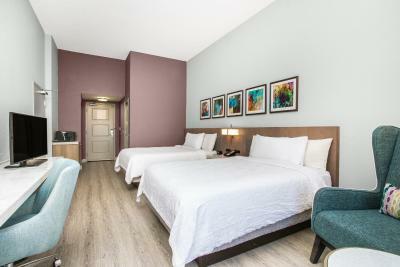 Located between The Gardens Mall and Downtown at the Gardens, this hotel is 10 minutes from John Macarthur Beach State Park. 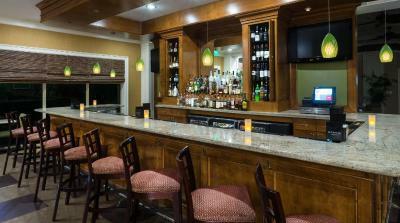 It offers an on-site restaurant and flat-screen TVs. 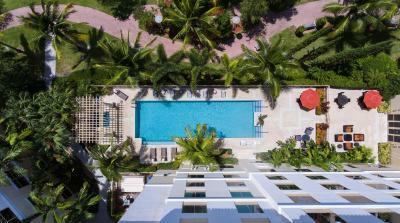 An outdoor pool and on-site 24-hour gym are part of this Palm Beach hotel. 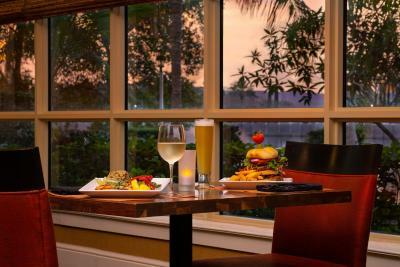 The Great American Grill overlooks the lake and serves breakfast and dinner. 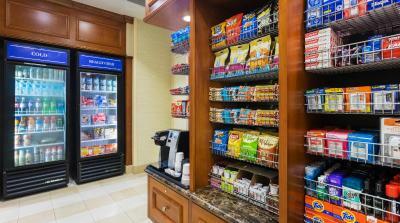 Drinks are available at the lounge and the Pavilion Pantry convenience mart is open 24 hours a day. 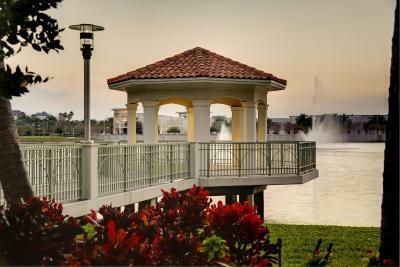 Roger Dean Stadium is less than 15 minutes' drive from Hilton Garden Inn Palm Beach Gardens. 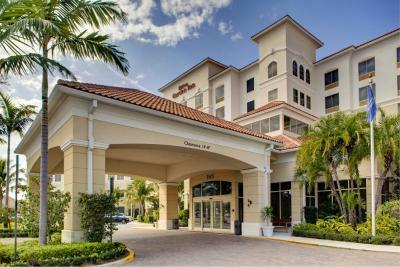 West Palm Beach and Palm Beach International Airport are 20 minutes' drive from the hotel. 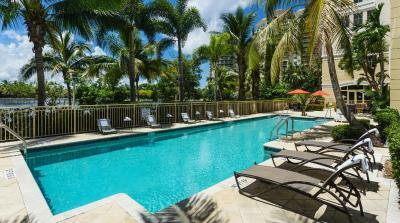 This property also has one of the top-rated locations in Palm Beach Gardens! Guests are happier about it compared to other properties in the area. 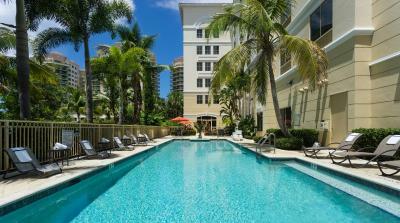 This property is also rated for the best value in Palm Beach Gardens! Guests are getting more for their money when compared to other properties in this city. 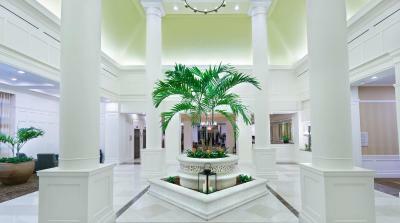 When would you like to stay at Hilton Garden Inn Palm Beach Gardens? 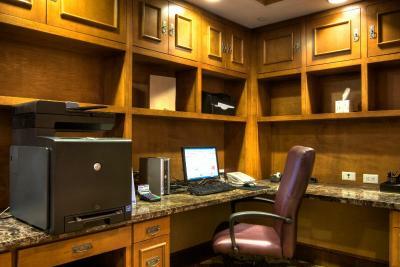 This room features a microwave, small refrigerator and flat-screen cable TV. 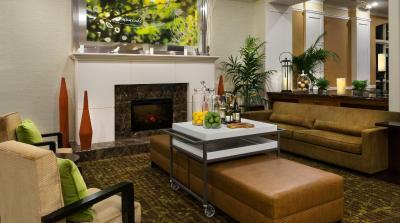 This suite features a living area with a sofa bed and additional TV. 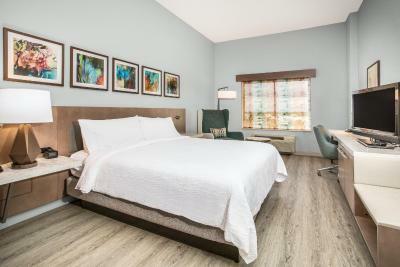 This quadruple room features a microwave, cable TV and air conditioning. This suite has air conditioning, microwave and flat-screen TV. 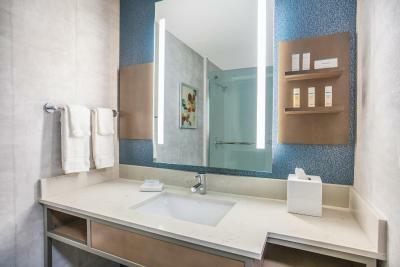 House Rules Hilton Garden Inn Palm Beach Gardens takes special requests – add in the next step! 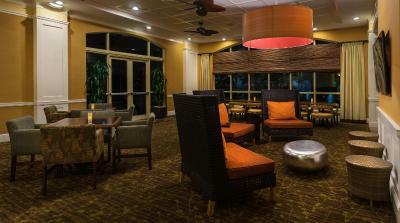 Hilton Garden Inn Palm Beach Gardens accepts these cards and reserves the right to temporarily hold an amount prior to arrival. Bed was very comfy. Shower really nice. Need better pillows. They are AWFUL!! Nice lake adjacent for walking day or night. Pool area is small but functional. Great location, helpful staff. Felt very safe as a solo traveller. Bed was good not the pillows. No mirror in room only in bathroom. Difficult for a group of 3 women! Key didn’t work. Twice. Room is very austere with no carpet. Feel like I am in jail. I did not like anything. Everything was great. There were ants on the table.